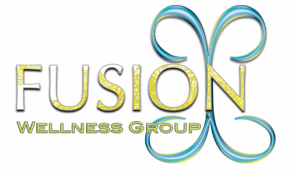 FAQs - Fusion Wellness Group Compassion. Connection. Commitment. Educational Kinesiology teaches specific movements of the body that can improve mind function. It uses techniques such as repatterning, which is the integration of the left and right hemispheres of the brain through specific movements; stress release techniques; and balancing the energy/meridian system of the body. Edu-K can improve ability in any area because it teaches the brain to activate all of its functions more fully. For more information check out the web site at: www.braingym.com. How does the program achieve such results? Our integrated program is designed specifically for each client that we work with. We focus on building stronger connections (neural pathways) through multiple movement modalities, such as Rhythmic Movement Training & Brain Gym (to name a couple). The stronger our neural pathways are the faster information travels from our body to our brain for processing (and vice versa). We all have times where this "processing time" could improve, especially under stress. Our programs teach you strategies to take home with you! We encourage "home-play" for all clients, to continue to strengthen this connection and achieve your personal goals! We do our best to schedule appointments that work within your current schedule. Please contact Sue Ellen Burch, Director, via email or phone at your earliest convenience. How often do you suggest sessions? This is one of the most popular questions, and the answer depends completely on the individual. We evaluate each client during the initial assessment and make our recommendation. This is solely based on each individual and their is not one right answer. What are current client's saying about our programs? Check out our testimonials page for direct quotes from our clients!